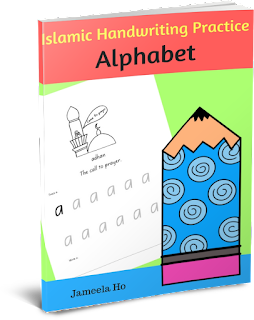 After many requests for an English alphabet handwriting book that is based on Islamic concepts for Muslims, I've decided to make one. 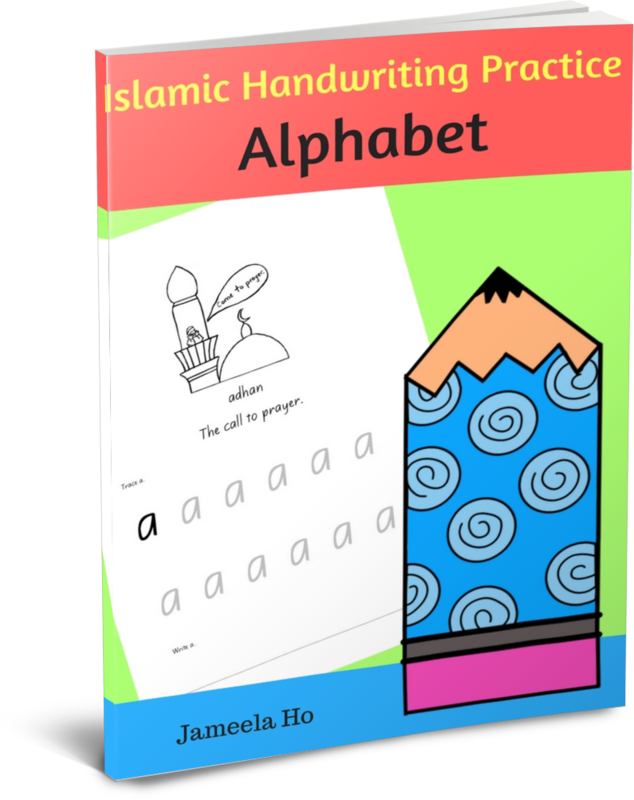 This book consists of the 26 letters of the English alphabet for your little Muslims to trace and then write. The picture for each letter has some form of Islam attached to it. I've tried to choose the ones that are easy for young children to understand. Even the one line of explanation of the Islamic concept is very basic. I've simplified it a lot. So it's up to you, the teacher/parent, to explain it further should you wish to. It really depends on the level of your children and on how deep you want them to delve into it. Some letters are harder than others to find an appropriate Islamic concept. Keep in mind that letters like x are extremely difficult to do so. Therefore, the usual x-ray is used. Each page is full sized and fully photocopiable. As a gift for visiting and reading my blog, I'm giving away the first three pages from the book free. 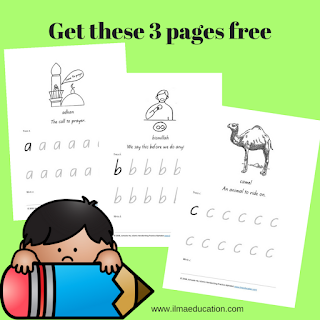 It's the a, b and c letters: a for adhan, b for bismillah and c for camel. Click here to download right away. If you like this book then you can purchase here.